Two Ol' Flats: Doug Burk (guitar) and Tom Montag (bass). 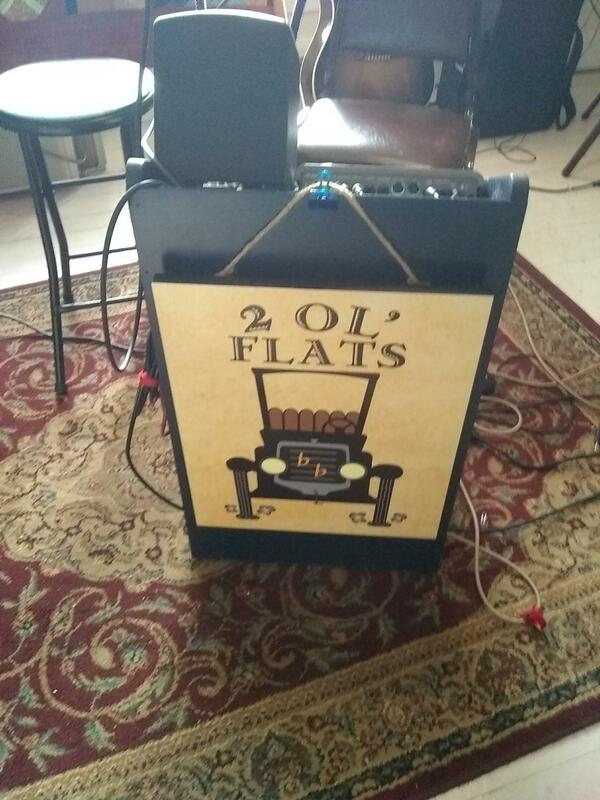 Cabinet holds our gear for performances: foot pedal, mixer, drum machine, monitor, and two microphones. We will be performing at Prairie Place in Ripon in January.